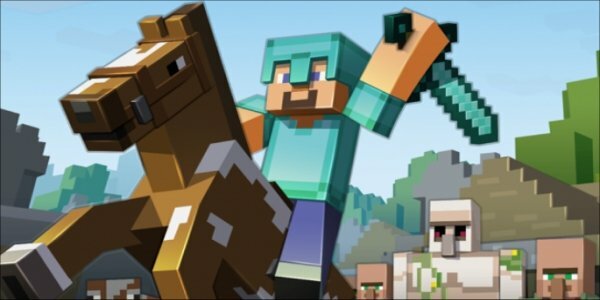 The Minecraft Movie is happening. It's happening right under our noses and there's nothing we can do about it... for better or for worse. The news came in fast and heavy after the creator of the game, Markus "Notch" Persson let loose a flurry of letters hewn into words that made the center of the media universe step ever-so-close to the edge of the abyss that leads to a pit of implosive virality, and created all sorts of chatter about the possibilities of a Minecraft movie. Well, here at Cinema Blend we have the opportunity to talk about the sort of topics that leads to even more chatter that, in turn, could even cause us to step right over the edge into that pit; a pit of viral excitement. 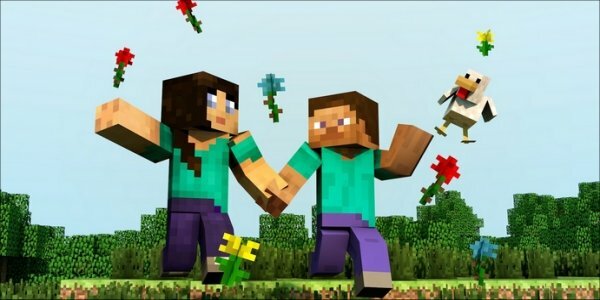 So here it is, a complete rundown of the five Minecraft plots that the movie could explore to a potentially massive cult following or – even rarer for a video game movie – to become a mainstream movie success. We look at different plots and genres that Warner Bros. could follow while featuring the game's main character, Steve. It worked for the Tomb Raider movie and it could have worked for one of the worst movies in the history of film-making, Super Mario Bros: The Movie. A traditional adventure movie plot following the almost ubiquitous protagonist, Steve, in a quest to save his 8-bit visual wonderland could lend itself well to the tent-pole attraction that cements the base of the average summer blockbuster. 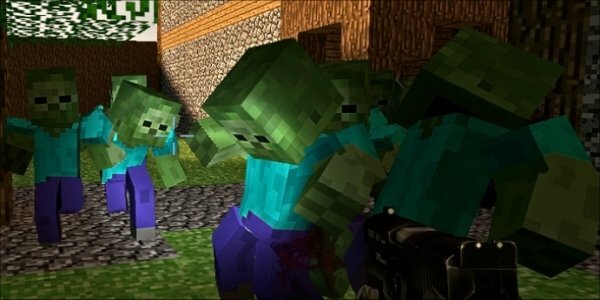 The setup would be simple: Steve is living peacefully in his Minecraft land and maybe there are some other Minecraftians living in a nearby village who get attacked by an evil horde of Creepers, sent out by the one and only Ender Dragon, one of the main bosses of the game. Acquiring someone like Tom Wilkinson or Ray Winston to voice the Ender Dragon would be key in bringing the menace to life. Steve has to find a diamond sword and some rare armor, and travel to the Ender Dragon's lair to defeat him. He meets a few wacky sidekicks along the way, voiced by regulars like Jonah Hill and Steve Buscemi, with a potential love-interest voiced by Amy Adams. A few action set pieces, plenty of over-the-top moments and lots of blocky fun could make this a sure winner at the box office. Okay, think Face-Off meets The LEGO Movie. Steve wakes up one day and finds out that everything has changed. His home is destroyed; nearby villages are ruined; all his stuff is gone. What happened? Who could have done such a thing? No time to find out! Steve heads for his secret stash of mining gear and goes to retrieve some rare ore to craft himself some armor and weapons and sets off to find out who ruined his life. The movie can verge on the edge of a horror-style, survival film, as Steve ends up saving a town from some zombies and skeletons, while also getting some help from a feisty female warrior voiced by Michelle Rodriguez, a loud-mouthed sheep – voiced by Eddie Murphy, of course – and maybe a pig with a penchant for explosives, who can be voiced by Jonah Hill. The main villain? A zombie mastermind who wants to take everything away from Steve, devour his soul and take over his life. Only one person is adequate enough for the evil-bad-guy-job and it's Nicholas Cage, complete with a montage of the zombie mastermind walking away in slow motion from Steve's burning house in as the wood and stone hut blows apart into a million blocky voxels. Instant. Blockbuster. Classic. The classic "It's all just a dream" plot seems to fare well with most audiences and in most kid-friendly flicks. It worked with Time Bandits, it worked with A Kid in King Arthur's Court and it worked with The Neverending Story. Movie execs love pulling kids into grand adventures and making them do all sorts of wacky stuff. I'm thinking Steve is voiced by Seth Rogen, and he's a slacker, living out his 8-bit life in the voxel-made Minecraft land. One day, a kid who likes playing the game gets sucked in while fiddling with some chips in his computer (because why not?) and he lands in Steve's humble abode. From there, the duo have some fun, create some stuff, break some stuff and ultimately learn some life's lesson about hard work and not being a slacker... or it could be just the opposite, with the life-lesson that being yourself is the best way to go about it. Throw in a talkative, pestering neighbor always up in Steve's face played by Jonah Hill, a strict mayor always trying to improve the community played J.K. Simmons and a mother-daughter duo that Steve likes to hang around played by Susan Sarandon and Aubrey Plaza, and you've got a lovable, family-friendly kid's movie that the grown-ups will enjoy, too. Take that previous plot and completely throw it on its head, effectively turning it into Enchanted. Instead of a kid having a good time in an 8-bit wonderland, what if the easy-going Steve – played by a subdued Will Ferrell – is enjoying his life in Minecraft, building and destroying things, when one day an evil wizard opens up a portal (because he hates Steve's lovable personality) and transports him to the real world. Steve's easy-going life of building and destroying things don't turn out so well, sort of like Wreck-It Ralph and his game-jumping antics. Steve finds it hard trying to deal with real-world physics. 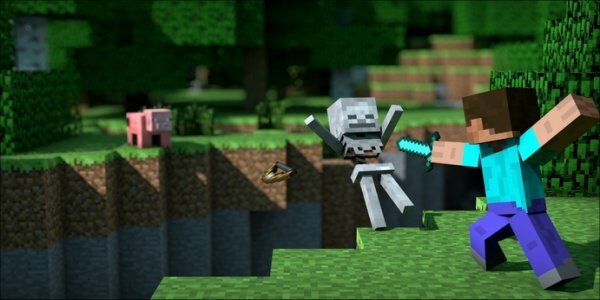 Since the movie will need a gimmick so it doesn't turn out to be crappy like forgettable video game movies such as The Hitman or Double Dragon, Steve gets to keep his pickaxe. The real hook? His pickaxe turns real-world objects into those blocky voxels from Minecraft, if he chips at them. The challenge of the film? Steve has to get back home before he gets trapped in the real world, doing a boring 9-to-5 job. Have Steve Carell play the evil wizard, toss in Sandra Bullock to play the mom of a kid who Steve befriends, and have a few wacky moments where Steve evades law enforcement by turning nearby objects into blocky voxels. Instant winner. Okay, okay, I know this seems completely out of left-field, but I think this could work. 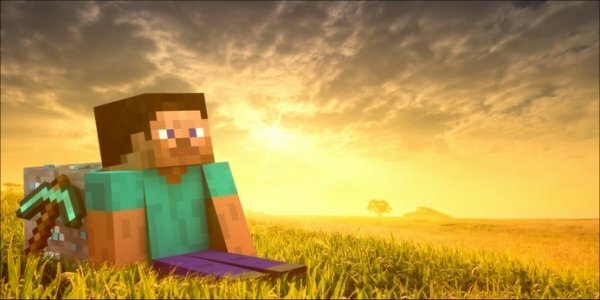 Steve is living his normal Minecraft-style life, alone, when one day a member of a nearby town warns him that the end is nigh. Imagine Joe Vs The Volcano meets Wall-E. Steve – voiced by Paul Rudd, because why not? – has to re-evaluate his life while facing down the reality that things could be coming to an end, for good. He has an epiphany and begins doing the things he should have done from the start: He breaks out of his mold and starts building structures he never thought possible – an aspect of the movie that could play-up well to some of the ridiculous creations possible in the Minecraft game – and he tries to court another member of the community, voiced by Jennifer Aniston. The only drawback for Steve? Aniston's character is more concerned with survival than courtship. The plot may seem a little dark for a kid's movie, but with enough jokes, a light visual style and plenty of fun moments could easily make it both enjoyable for kids and adults alike.